We are pleased to announce that we have added two new highly respected bakery consultants to our list of partners, their expertise will bolster the knowledge that we have built up over 24 years and will help us to the bridge the gap that Jeff left, we are currently working with them to review our suppliers both UK and International, and we will soon release information on our stock machines. Please do hesitate to contact our office 01 832 75007 for help when choosing that one-off piece of equipment, or making more extensive works such as a full refurbishment or planning to a new building. 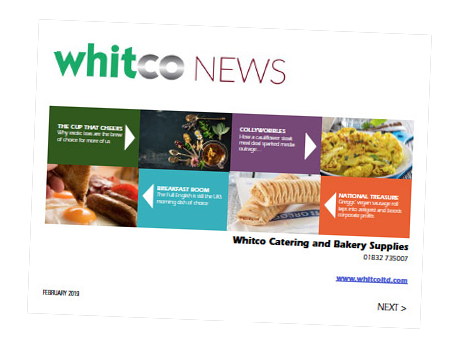 Whitco are here to assist all types and sizes of business, from artisan bakers, cake makers, coffee shops to large-scale plant bakeries and food manufacturers. All the work that we do for our catering customers is available to you. Our creative team can even help you design the style, colour and feel of your cafe too!